With the price of decent treadmills going up, it is only practical to consider buying used fitness equipment as a substitute for brand new ones that would require you to spend thousands of bucks! 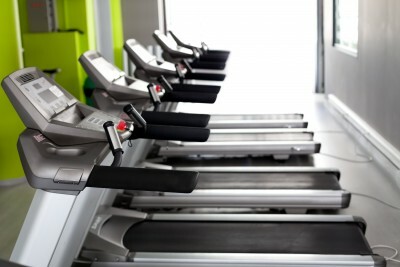 Used treadmills are pre-owned machines that are being sold at almost half the price of brand new ones, but complete with the same features and specs. Just imagine how much money you can save if you opt to choose this alternative. However, like that of buying any other equipment, getting pre-owned treadmills has its advantages and disadvantages. Learn how practical it is to buy one so you’d know whether it’s worth every penny of yours or not. The primary advantage of getting a pre-owned treadmill is its really affordable price. Depending on the seller, you can get as much as 70% discount from the original retail price. Although it has already been used by a previous owner, you would still get the same benefits as those of the brand new machine. Although pre-owned treadmills are really cheap and affordable, you have to be warned that their performance may not be as excellent as their brand new counterpart. Since a pre-owned unit has already been operated previously, its quality may have deteriorated over time. Hence, if you will be choosing from used units, stay away from those of poor quality. Another thing to keep in mind is that when you get a second hand unit, its original warranty may not be passed unto you as the second owner. This means that whenever the unit gets damaged or needs to be fixed, you won’t be able to take advantage of its warranty, and you may have pay in full for the replacement parts or labor. If you decide to still purchase a second hand treadmill in spite of its known disadvantages, be guided by these tips. When looking for used treadmills, check out online buy and sell stores like eBay. Most treadmill manufacturing websites advertise only their brand new units. So if it’s second hand that you’re looking for, deal with individual owners, instead of companies or authorized re-sellers. Moreover, if you talk to treadmill owners, you can easily negotiate the price with them and you may get really great bargain. Talk to more than one seller so you’ll have options. To ensure the quality of pre-owned treadmills, choose among the premium priced models which are sturdy and designed to last long. Consider the number of months that the machine has been used. As much as possible, get only a slightly used model that has been operated for less than a year only. If you plan on buying or bidding for a treadmill on eBay, below is a guide to help you avoid mistakes. This is especially helpful to first time eBay users. Most people make the mistake of scanning the ad and then impulsively purchasing or bidding only to realize in the end that the shipping, handling, and/or tax charges are overpriced. You should read and understand the ad completely, and know all information regarding the shipping and handling costs, mode of payment, when the treadmill will be shipped, and extra costs like taxes and duties. You need to know who you're dealing with to be sure that you're buying from a reputable person. Read the feedbacks of other buyers. Are they happy dealing with this person or are most of them giving negative feedbacks. Since you won't be able to inspect the machine before you buy, be sure to ask the seller lots of questions. Know everything about the item before deciding to buy to make sure that you're getting what you pay for. The more you know about the treadmill the less likely you will get surprises after your purchase. If you plan to buy a used treadmill, I suggest you get one from Amazon.com. Just do a search for "Used Treadmills" on the Amazon search box provided to the right. While purchasing pre-owned treadmills really do help you save a lot of money, there are also risks involved. Make sure to study your options carefully and know your tradeoffs before deciding to buy one.